You can install Fuel on VirtualBox and use that to deploy a Mirantis OpenStack environment for demonstration and evaluation purposes. Mirantis provides scripts that create and configure all the VMs required for a test environment, including the Master node and Slave nodes. 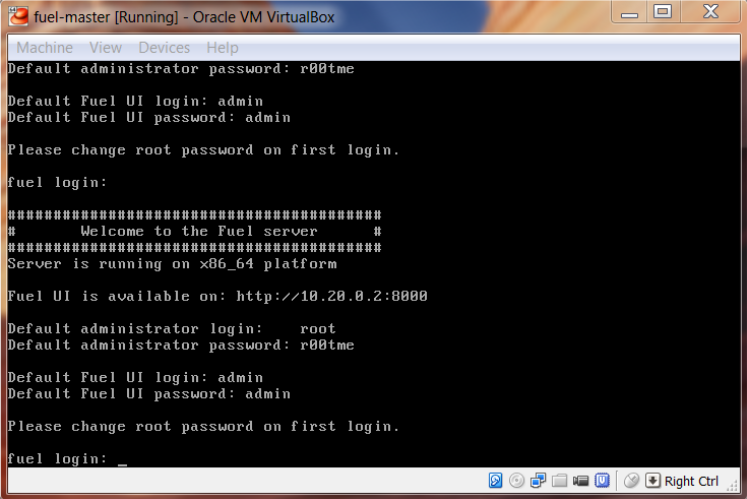 Here we going to discuss about how to run Fuel and Mirantis OpenStack on VirtualBox. Run VirtualBox on a stable host system; we recommend 64-bit host OS. The scripts have been tested on Mac OS 10.7.5, Mac OS 10.8.3, Ubuntu 12.04, Ubuntu 12.10, Ubuntu 14.04, Fedora 19, OpenSUSE 12.2/12.3, Windows 7 x64 + Cygwin_x64, and Windows 8 x64 + Cygwin_x64. Download and install VirtualBox extensions. Download Mirantis VirtualBox scripts from the Downloads tab. Download the Mirantis OpenStack ISO. 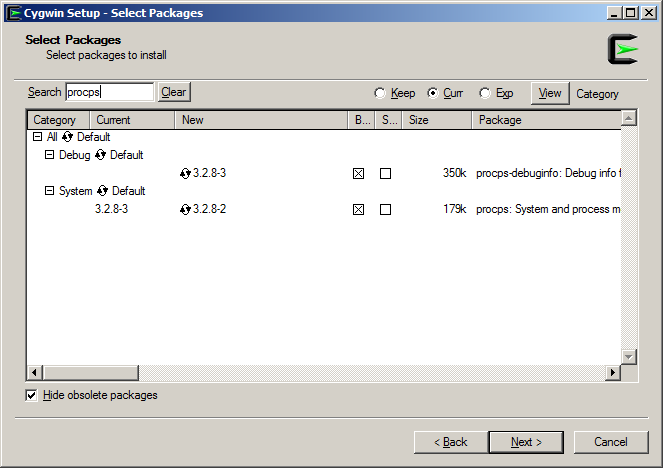 Download and install Cygwin for 64-bit version of Windows. Select expect, openssh, and procps packages to install. Supports 4 VMs for Multi-node OpenStack installation (1 Master node, 1 Controller node, 1 Compute node, 1 Cinder node). The size of each VM should be reduced to 1536 MB RAM. For dedicated Cinder node, 768 MB of RAM is enough. Supports 5 VMs for Multi-node with HA OpenStack installation (1 Master node, 3 combined Controller + Cinder nodes, 1 Compute node). The size of each VM should be reduced to 1280 MB RAM. This is less that the recommended amount of RAM amount per node for HA configurations (2048+ MB per controller) and may lead to unwanted issues. The directory containing the ISO image used to install Fuel. You should download the ISO from the portal to this directory or copy it into this directory after it is downloaded. If this directory contains more than one ISO file, the installation script uses the most recent one. Configuration file that allows you to specify parameters that automate the Fuel installation. For example, you can select how many virtual nodes to launch, as well as how much memory, disk, and processing to allocate for each. This is the script you run to install Fuel. It uses the ISO image from the iso directory, creates a VM, mounts the image, and automatically installs the Fuel Master node. After installing the Master node, the script creates Slave nodes for OpenStack and boots them via PXE from the Master node. When Fuel is installed, the script gives you the IP address to use to access the Web-based UI for Fuel. Use this address to deploy your OpenStack environment. 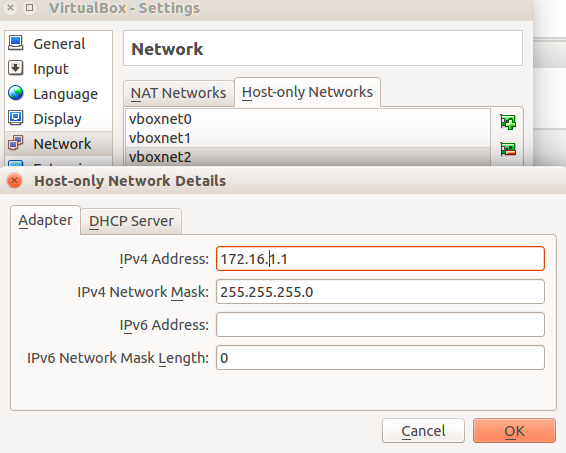 Add Mirantis OpenStack ISO to the extracted VirtualBox iso folder. Run the launch.sh script to install Fuel. See the Launch Wizard to Create New Environment for the instructions on how to log in to the Fuel UI and set up your first environment. The following steps are suitable only for setting up a vanilla OpenStack environment for evaluation purposes only. If you cannot or would rather not run our helper scripts, you can still run Fuel on VirtualBox by following these steps. First, create the Master node VM. 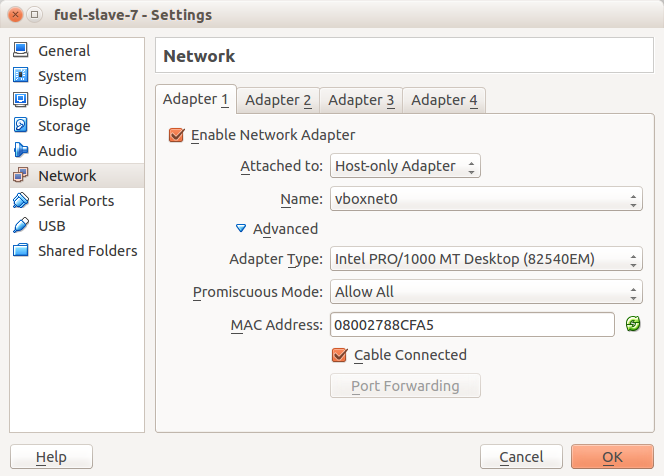 Power on the VM in order to start the installation. Choose your Fuel ISO when prompted to select start-up disk. Wait for the Welcome message with all information needed to login into the UI of Fuel. 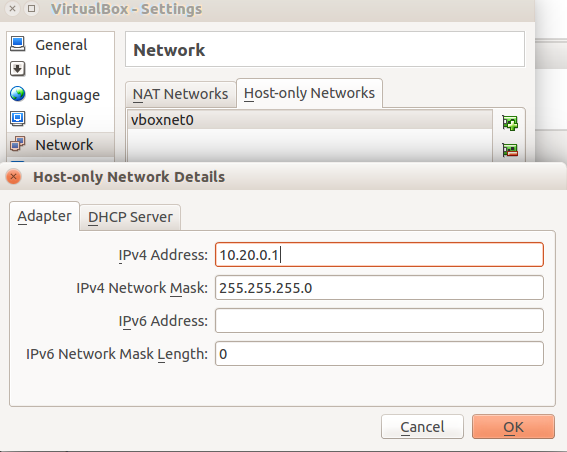 In the VirtualBox main window, go to File -> Preferences -> Network. On the Host-only Networks tab, click the screwdriver icon. Next, create Slave nodes where OpenStack needs to be installed. Boot Fuel Master Server from the ISO image as a virtual DVD (click here to download ISO image). a. Remove the default gateway (10.20.0.1). b. Change the DNS to 10.20.0.2 (the Fuel VM IP). Note: Do not try to change eth0 to another interface or the deployment might fail. Fuel VM will reboot itself after the initial installation is completed and the Fuel menu will appear. Note: Ensure that the VM will start from the Local Disk and not CD-ROM. Otherwise you will restart the installation from beginning. 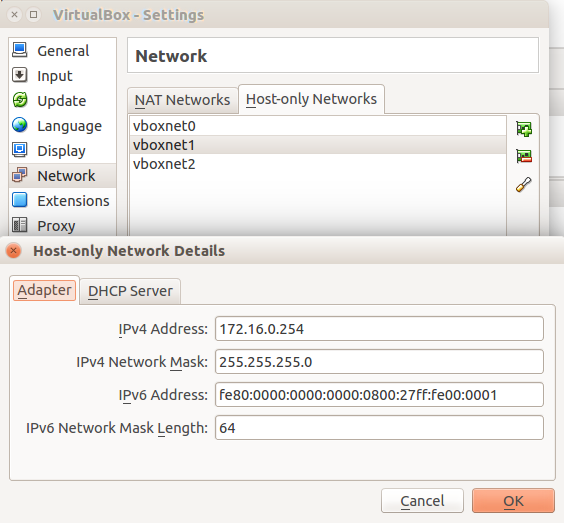 Configure eth0 as the PXE (Admin) network interface. Ensure the default Gateway entry is empty for the interface. The network is enclosed within the switch and has no routing outside. Configure eth1 as the Public network interface. The PXE network is enclosed within the switch. Use the default settings. Press the Check button to ensure no errors are found. a. Choose the Time Sync option on the left-hand Menu. b. Configure the NTP server entries suitable for your infrastructure. c. Press Check to verify settings. Navigate to Quit Setup and select Save and Quit. Once the Fuel installation is done, you will see Fuel access details both for SSH and HTTP. Configure the Fuel Master VM SSH server to allow connections from Public network.By default Fuel will accept SSH connections from Admin(PXE) network only.